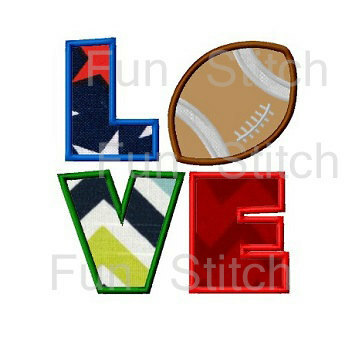 Football Love Applique - 3 Sizes! This football love applique design is available in three sizes. Sports Balls - 2 Sizes! Finish Size 3.59" x 3.83"
Finish Size 4.76" x 5.07"
Finish Size 5.52" x 5.89"